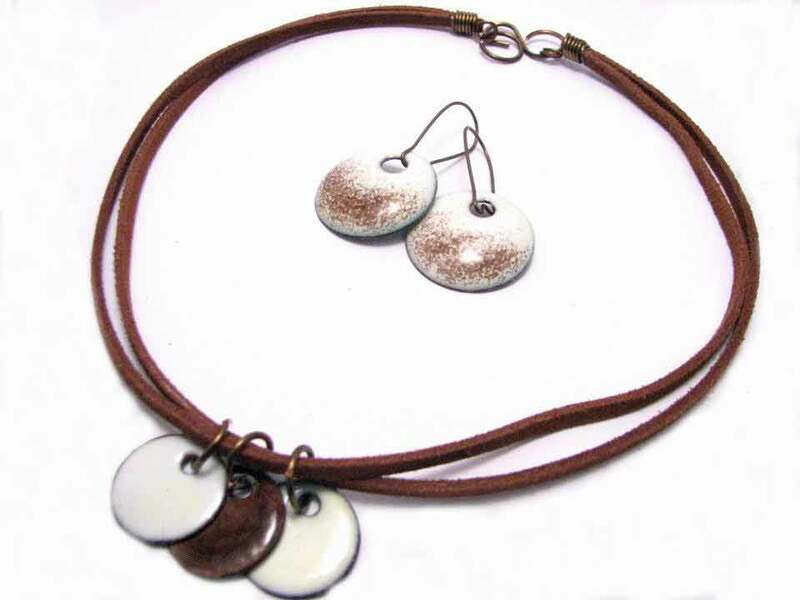 A double strand of leather strips carry three floating torch-fired enamel medallions. Coordinating earrings were die-struck from copper and coated with vitreous enamel before being torch-fired at 1500 degrees. Visions of sugarplums? 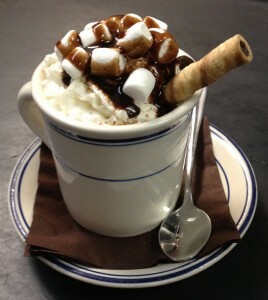 No, but visions of hot chocolate -pictured here – were the inspiration for this casual set of jewelry.